A 72-year-old Nepalese man, Chandra Bahadur Dangi, is listed in the Guinness World Records as 'World's Shortest Living Man'. 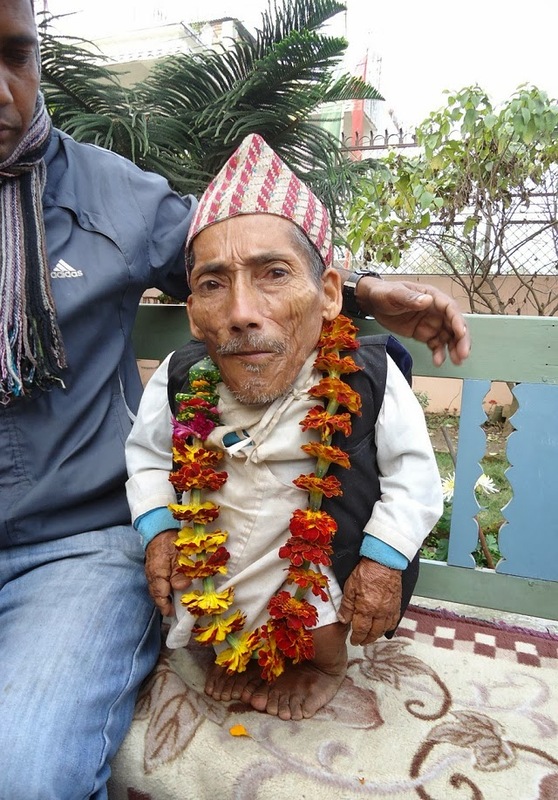 A doctor and Guinness World Records official headed to Nepal to measure Chandra Bahadur Dangi to confirm his height of 21.5 inches (54.6 centimeters), shorter than the length of a broadsheet newspaper, where they declared him the world's shortest person. 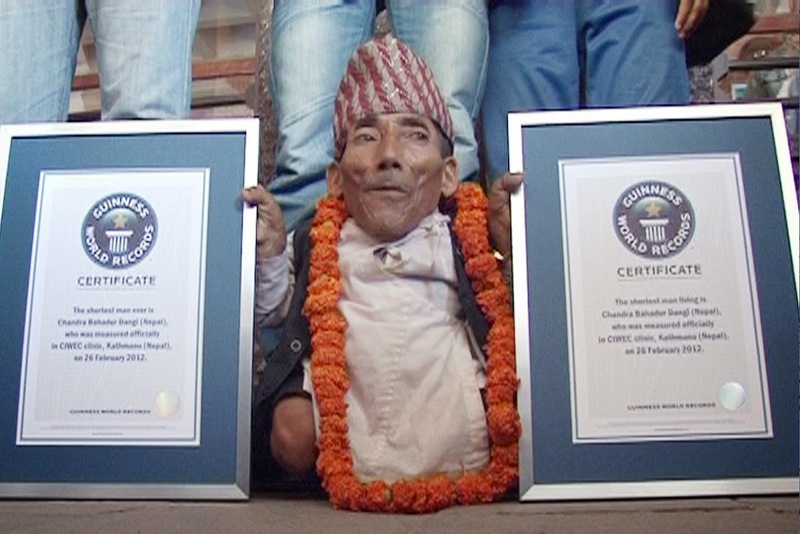 On 26 February 2012, Guinness presented Dangi with two certificates for being the world's shortest living man and the world's shortest person ever recorded in Guinness' 57-year history. From a poor and uneducated family in Rimkholi, a remote part of Nepal, Dangi said he had never heard of Mount Everest and was unaware of the world record title before a timber merchant visited his remote village on January 2012 and decided to measure him. Dangi, whose parents died when he was still in his teens, lives with his brother with, he said, no desire to marry. 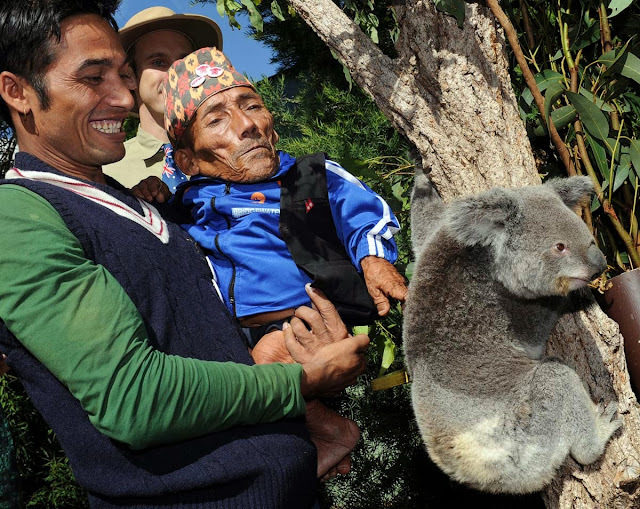 His family has no idea when he stopped growing as many Nepali villages still lack basic health care. Dangi has never seen a doctor in his life. Five of his brothers and two sisters are of normal size. Dangi mostly stays at home, needing assistance to move around, preparing head straps used by villagers to carry loads.